A health remedy that may be growing in your backyard, but is there any proven health benefits? Milk thistle seed has been used for centuries to heal liver disease including cirrhosis, jaundice, hepatitis, and gallbladder disorders. This natural medicinal is most commonly used for liver detox for cirrhosis, alcoholic hepatitis, and liver poisoning. The silymarin, is the active component extracted from milk thistle seeds. Silymarin, which is actually a group of flavonoids, provides the liver-protecting effect. These antioxidants can help protect your body against oxidative stress and can also help reduce cholesterol. Studies have shown that silymarin can reduce potentially dangerous liver enzymes as well. Milk Thistle seed is also said to have results for lowering cholesterol (what causes high cholesterol), managing type 2 diabetes (causes and symptoms), improving cognition, supporting bone health, reducing symptoms of allergic asthma, and reducing inflammation in skin conditions. Milk Thistle (Silybum marianum) is a flowering herb in the Asteraceae family, which also includes ragweed, chrysanthemums, marigolds, and daisies. Native to the Mediterranean, it now grows widely in many regions of the world. Also called Blessed Milkthistle, Variegated Thistle, and Scotch Thistle. Milk thistle plant is a biennial plant that grows up to almost four feet tall and about three feet wide. It has a branched stem and multiple large purple flowers. This wild edible can be an annual in some climates, but takes two years to complete the growing cycle. In colder climates the plant may not produce the flower. 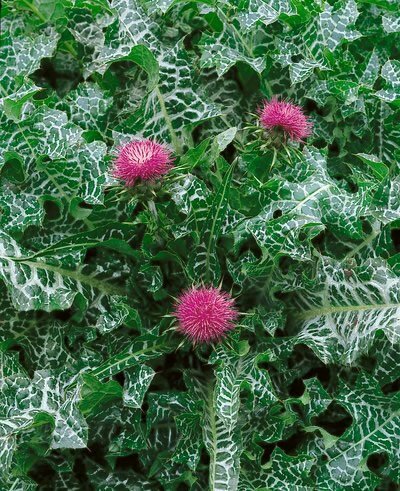 If you would like to try growing milk thistle plants from seed, you’ll need to be sure that you buy a seed that is harvested and stored for planting purposes. David’s Garden Seeds has good quality seeds. Most people simply consider milk thistle a weed, but just look at its beauty! I tend to keep most of my broad leaf “weeds” around, but this is one of my favorites. I currently have two of them growing to almost 4’ tall along my front walkway. The flowers are just about ready to harvest for the highly sought-after seeds that sell for about $1 per ounce, when you can find them. The flower can be removed and new flowers will continue to grow through the season and possibly into the second year in warmer climates. To harvest, cut the flower head off at its base, air dry for about a week during the warmer months, then shake the head in a paper bag to release the seeds. The head may need to be broken apart by hand to find every last seed within it. Be sure to wear leather gloves [https://amzn.to/2LBeRgI] or use a rubber mallet to gently smash them up so that the seeds will fall out. For this natural edible almost all the parts of the plant can be eaten. When young, the leaves will be more tender and can be used in salads. Like any green, they should be picked before the weather turns hot or they may become too bitter. For almost any dish, the spines will need to be removed from the leaf first. As the plant grows the leaves become thick and spiky and are best cooked at that time. The flowers can be cooked before they bloom and are a sort of artichoke substitute. The stems and root, while they are edible when raw, are best cooked in soups or other dishes and would be a good substitute for asparagus. The preparation is fairly simple once you’ve harvested the seeds. The seeds are full of oil so they can be toasted and put on salads, blended into a fruit smoothie, or eaten plain as a yummy munchie snack. If you would prefer to purchase a product with the silymarin in it, try a capsule or tea to get your daily dose. Here are two organic options for capsules: 60 Capsules and 120 Capsules. Also see this link for a Tea blend or an Organic Powder, which can be used in a smoothie and also for steeping into a tea. Note: people who are allergic to ragweed or any other plants in the Asteraceae family are better off avoiding milk thistle as well. Here is a great smoothie recipe from ‘My Organic Life’. The environmental concerns for Milk Thistle are that it is considered an invasive species in some regions. However, there are ways to manage your site including harvesting of the seeds before they spread. The natural spread is only a few feet from the plant via wind. Companion Plants – since milk thistle grows naturally in a dry rocky climate, there aren’t too many cultivated companion plants for this plant. However, I’ve encouraged milk thistle to grow in areas where it started naturally. 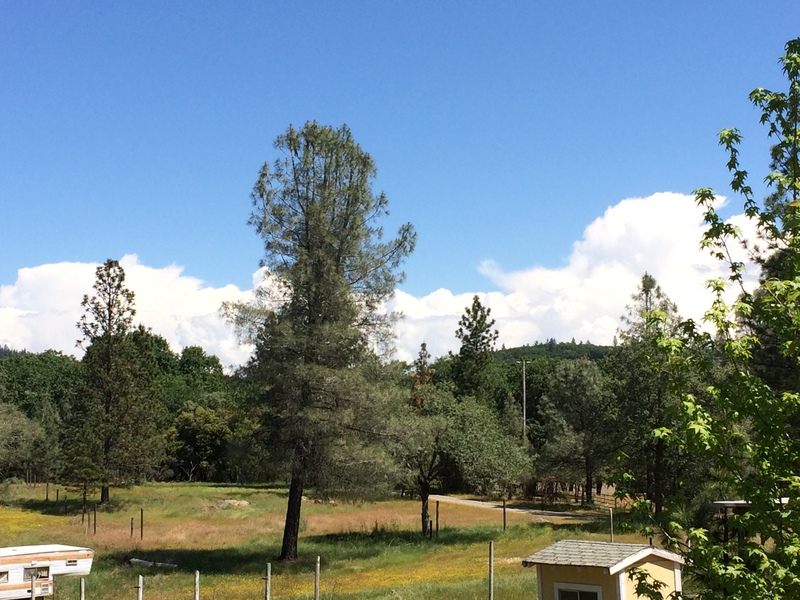 The nearby plants were lavender, salvia, and marigold and the milk thistle continued to propagate itself yearly and grow to full height within the first year. Other Uses – The flowering heads may be used dried or fresh in flower arrangements. Cut the long stems and hang upside down for drying. For more information on any edible plants see Plants For A Future here. What are Prickly, Beautiful, and Healthful? Previous Green landscapes, green lawns, and thriving gardens. ‘Nitrogen Fixing’ Why do I want it on my homestead? Next Mulch and Mulch More!